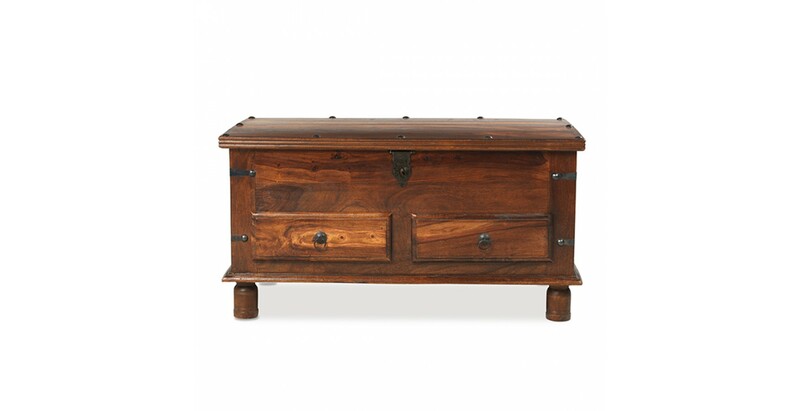 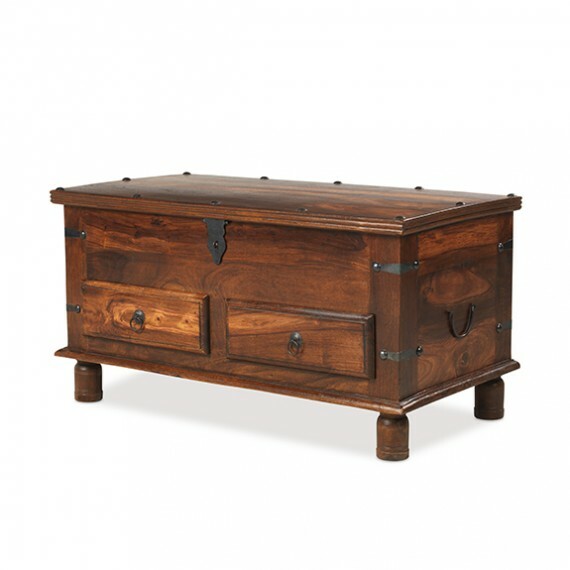 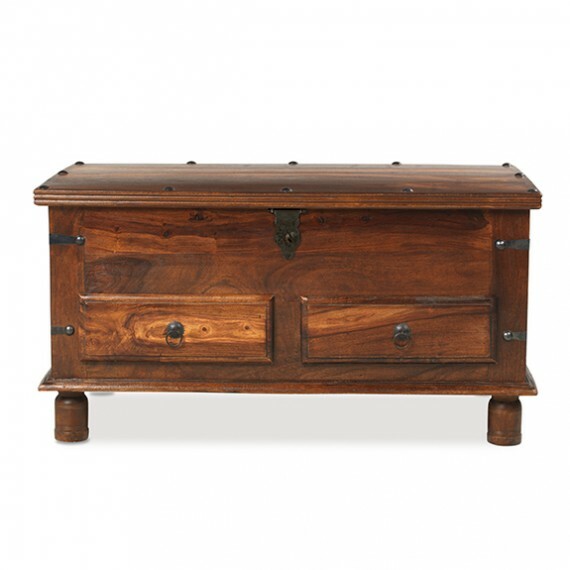 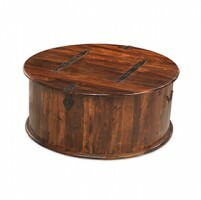 As it's been handmade by skilled craftsmen from sheesham wood, this is a one-of-a-kind piece, with its distinctive grain and tonal variations brought to the fore by a Wax Lacquer Finish. 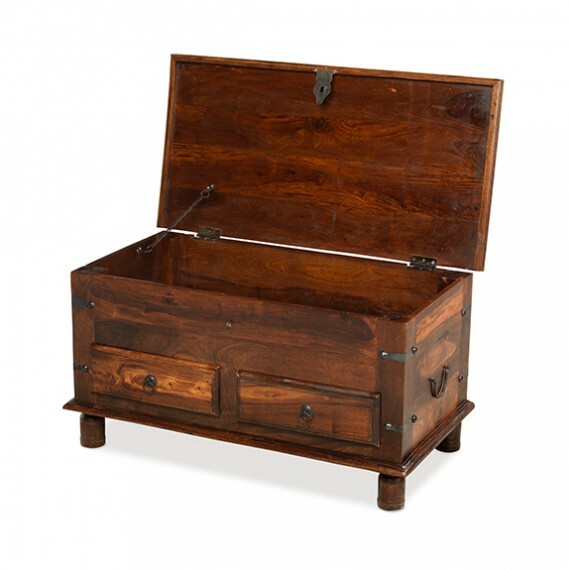 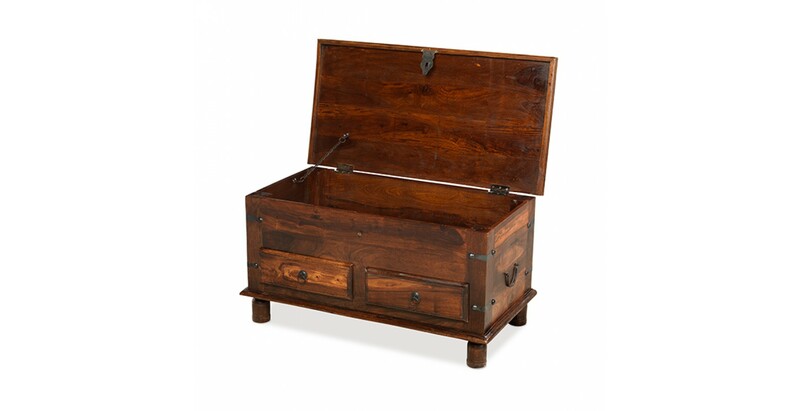 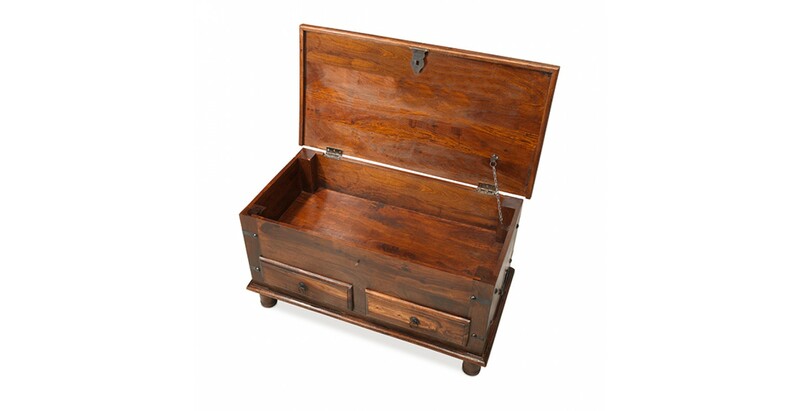 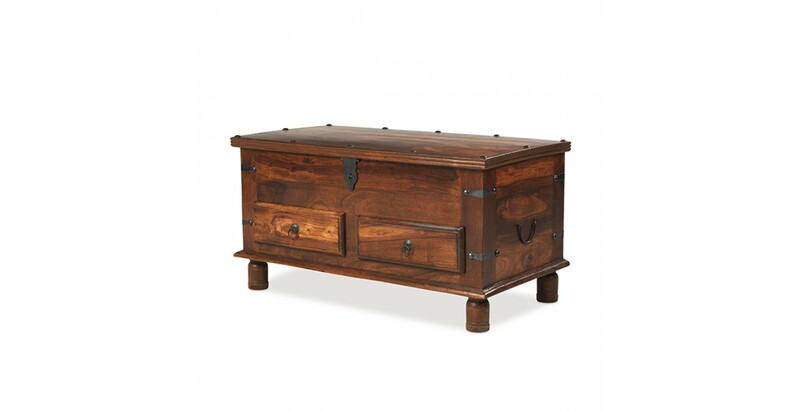 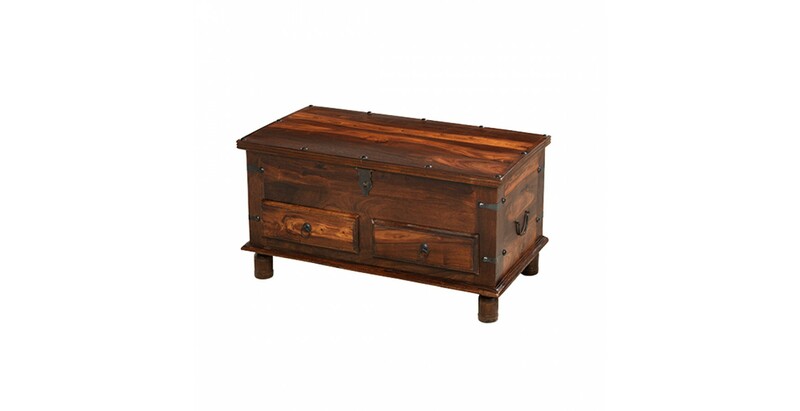 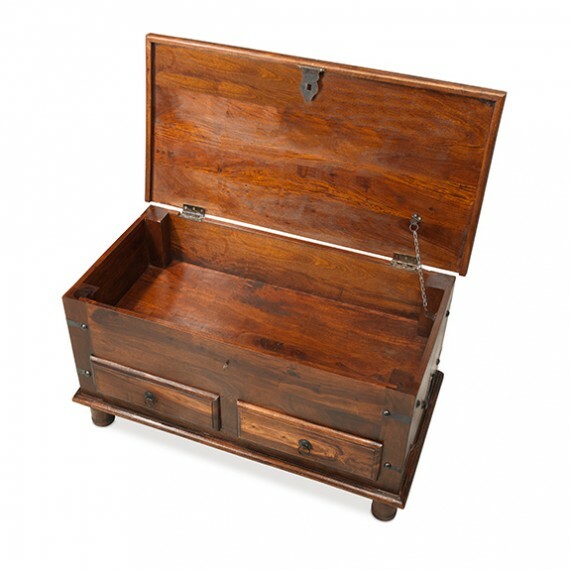 Bringing warmth and exotic colonial style to your home as well as practical storage, we can see it having pride of place in front of your sofa. 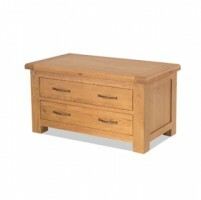 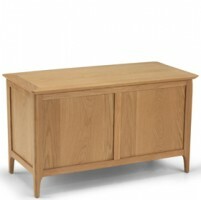 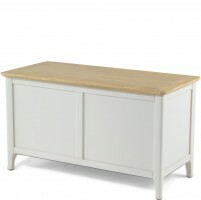 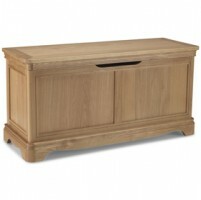 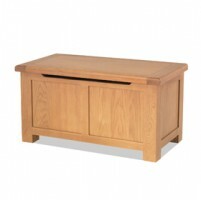 Standing firm on chunky feet, there are two handy drawers and space under the lid to keep you organised, plus the strong top is the perfect perch for your evening drinks and snacks. 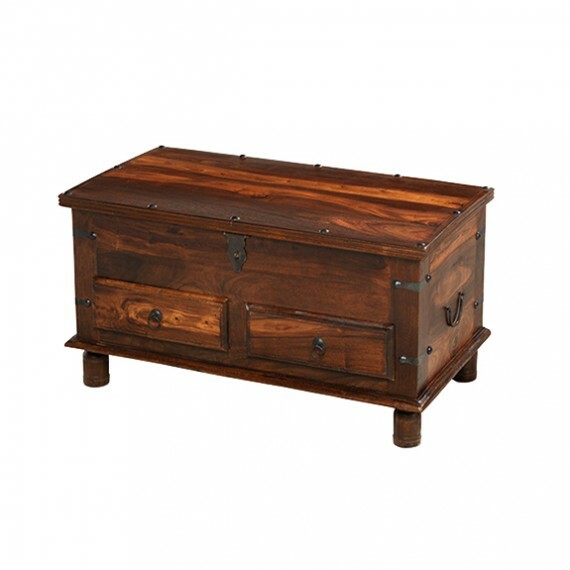 Iron studs on the lid along with iron work on the corners and metal ring handles all help to give it a traditional Indian look.